A short note to say I am extremely flattered and grateful to have been nominated for two Regional Media Awards. I have been nominated for 'Print Journalist of the Year' on a weekly newspaper, and a road safety campaign I ran following the death of a young musician has been shortlisted for 'Community Campaign of the Year'. Among the articles for which my 'Print Journalist' nomination was awarded were two investigative pieces and one campaigning piece about the above road death. The first investigative piece was the revelation that hundreds of teachers accused of sexual abuse had never been reported to police by the education authority, despite dozens of them having the complaints upheld and receiving professional sanctions. 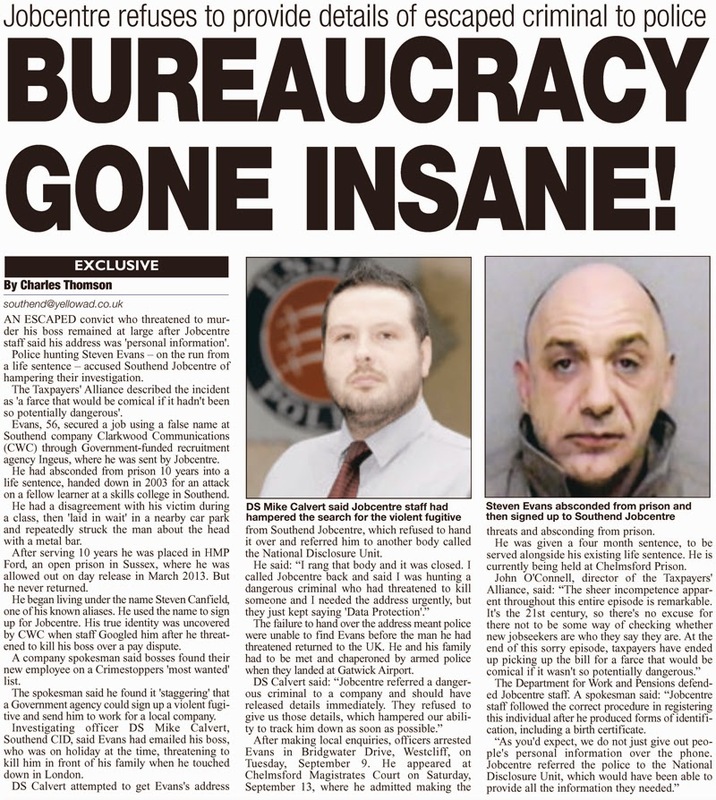 The second told how a Government Jobcentre had unwittingly signed up an escaped con, fleeing a life sentence for a brutal attack with an iron bar, and sent him to work for a local company. Despite using a known alias, his identity was only discovered when he threatened to murder his new boss over a pay dispute, at which his boss Googled his name and discovered him on a Crimestoppers 'Most Wanted' list. Jobcentre staff then refused to give police the dangerous criminal's address, claiming it was 'personal information'. I will find out whether I have won at a ceremony in late February, although just to be nominated is very rewarding, as the shortlist is selected by a panel of experienced journalists.